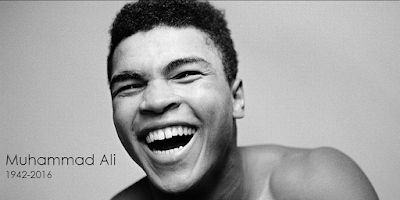 Looking back over the list of public figures who died this past year, the name of Muhammad Ali stood out as perhaps the most widely known and most influential of them all. He's a man I greatly respected — not so much for his boxing skills as for his principled opposition to the Vietnam War and subsequent positions on public issues. I was hoping to find a suitable audio clip of Ali wishing people a Merry Christmas or some such thing, but when I googled Ali's name along with the word "Christmas," many of the resulting links were to this song by singer/songwriter Greg Trooper. I wasn't aware of the song at the time — in fact, I'd never heard of Greg Trooper. I'm not sure why I hadn't because he's been around at least as long as I have and several of his records were produced by Garry Tallent of Bruce Springsteen's E Street Band, but them's the facts. So I listened to it on YouTube, and instantly liked it. 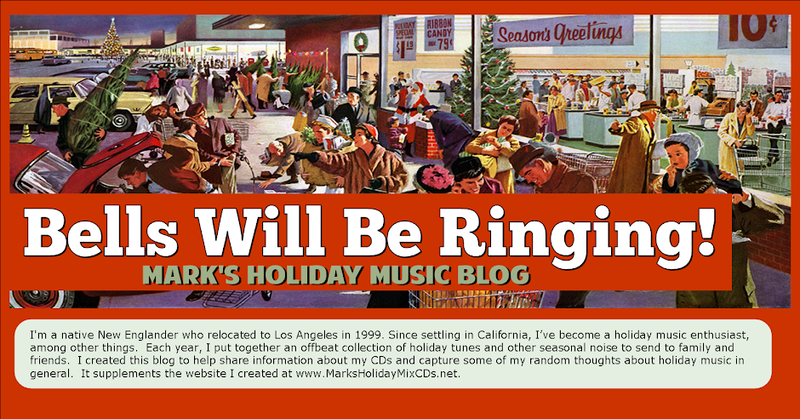 In fact, I thought it would be a great way to end this year's mix, as it's the kind of thoughtful, quiet and reflective track that I like to use to close out each CD. Yet if I had to explain the meaning of the song from Trooper's point of view — just what is he trying to say? — I wouldn't have the foggiest idea how to do it. I'm not even sure I have a valid interpretation of what it means to me. Clearly, Trooper was a fan. He seems to admire Ali for defying the odds and remaining true to himself regardless of what anyone else believed. It seems clear that Trooper's references to Christmas are to Christmas in the broadest sense of the word — not only to the day of Jesus' birth, but to the spirit of the holiday and the rich and diverse group of qualities and ideals people ascribe to it. Still, it's not the most comfortable fit. The Ali brand of bravado and trash talk might be a useful model for someone lacking in confidence or self esteem, but it's hardly the kind of quality we associate with Christmas. To an awful lot of people, Ali's abandonment of Christianity and his adoption of the Muslim faith should disqualify him from a seat at our holiday table. He did more than change parishes, he "found his own God instead," a rather clear violation of the First Commandment. Yet still somehow this song sounds appropriate. Perhaps because here on earth, each of us is free to set our own moral compass and to worship the God of our own understanding, and because tolerance for these truths, so long as others are not disrespected or hurt, is indeed part of the holiday spirit. Ali refused to be drafted at a time when the majority of the Christian people of our country were probably quite opposed to his position. The power establishment certainly was. And whose position turned out to be the more moral stand? I don't know, I can see where Muhammad Ali could teach me a thing or two about the meaning of Christmas. The whys and wherefores will likely come, as all things inevitably will, in time. Listen to Greg Trooper's "Muhammad Ali (The Meaning of Christmas)"
I was a big Prince fan going back to his very first commercial releases. I was amazed by the brash openness of his third album "Dirty Mind," and his flaunting of conventional morality on his follow-up release, "Controversy." His 1982 album "1999" hardly left my turntable for the first five or six months after its release, which is quite something considering it came out around the same time as Michael Jackson's "Thriller." I was blown away by the song "When Doves Cry," even though it kept Bruce Springsteen's "Dancing in the Dark" from reaching the top spot on Billboard's Hot 100. I didn't care too much for the movie "Purple Rain," but the soundtrack was awesome, and I remained a big fan of Prince's music throughout most of the 1980s. I didn't follow him too much after that, although I was lucky enough to see him close up at NBC's Burbank Studios in 1999 and to attend special performance of his at the Key Club in Hollywood that was just incredible. His death this past April came as a real shock. I had no idea he was in such pain and so close to the end of his endurance. I confess that this song was never one of my favorites. The lyrics are beautiful and sobering, and they always struck me as a message to enjoy each day to the fullest. I would have preferred to include something else of his, but I'm not sure Prince ever recorded anything else about Christmas. In the end, he seems to have been a very private and possibly lonely soul. I can identify with that. Many people are. 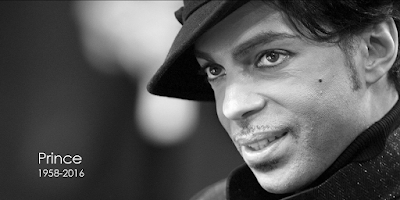 He certainly left a rich musical legacy behind, and he did a great deal of good while he was here. Those things, too, reflect the meaning of Christmas. Listen to Prince's "Another Lonely Christmas"
Labels: Greg Trooper, Let It Snow!, Muhammad Ali, Prince, R.I.P.